Bleed is officially coming to Nintendo Switch in exactly one week, on December 14, 2017, and to celebrate, you can check out a trailer. If you’re one of the many fans of the popular indie game Bleed and you’ve always wanted to be able to take it on the go with you, then today is your lucky day. Developer Bootdisk Revolution and publisher Digerati Distribution have announced that the game is set to hit Nintendo Switch, and the best part is, it’ll be coming sooner than one would think. For those who don’t know, Bleed is a side-scrolling platformer with a unique, neon style. In it, players will step into the shoes of a girl named Wryn, whose main goal is to become the greatest video game hero of all time, but she’ll have to go through seven levels, each of which includes unique bosses, enemies, and more. In terms of the Switch version of the game, as of the time of this writing no exclusive features have been announced. However, it was revealed that the co-op aspect of the game will carry over, and one would assume that that would mean that each player would be able to control the character using their own, individual Joy-Con controller. To celebrate the announcement of the Switch version, a brand new trailer was released, which shows off our first glimpse at gameplay from this new edition. You can, as always, check out the video at the end of the article. 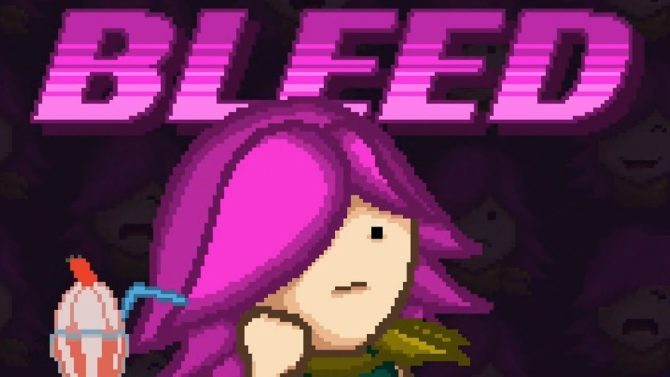 Bleed is set to hit Nintendo Switch in exactly one week, on December 14, 2017. The game is also available on PlayStation 4, Xbox One, Xbox 360, Windows PC, and Linux. 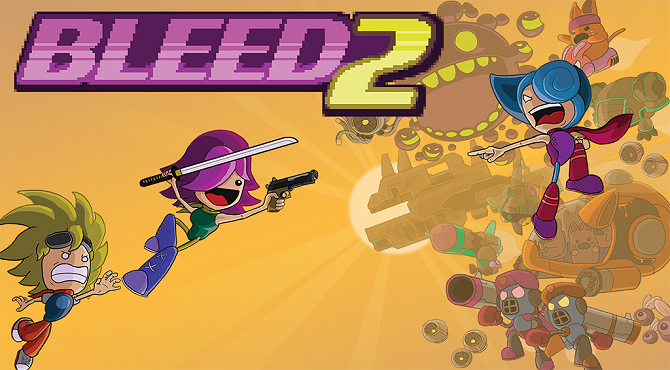 Bleed 2 is finally making its way to Nintendo Switch in just a few weeks, on March 8, 2018, and is set to cost players $14.99.